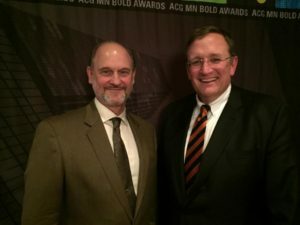 Spectacular night at the 2016 ACG MN Bold Awards. Congratulations to all the winners, especially our category (Corporate Small) winner Azule Staffing, whose work helping veterans find meaningful jobs is very BOLD indeed. We greatly appreciate our service member and veteran colleagues at CTI, so it was great to see a business dedicated to veterans win. Keep up the great work! Thanks also to ACG MN, it was an honor to be a finalist.